As the heat and humidity rises, rooftop bars around the country are inundated on lazy Sunday afternoons as we take advantage of everything the season has to offer – sun, heat and more sun! Those with pools become overnight neighbourhood sensations, inviting friends and family to float their way through the weekend in a haze of food, drink and good times. Thongs and singlets are the national uniform and mosquitos are everywhere… along with cricket on the TV and the sounds of cicadas and frogs lulling us to sleep. It’s the ideal time to head for air-conditioned comfort in your favourite local restaurant, where menus turn to light, delicious fare to suit the season and temperature. 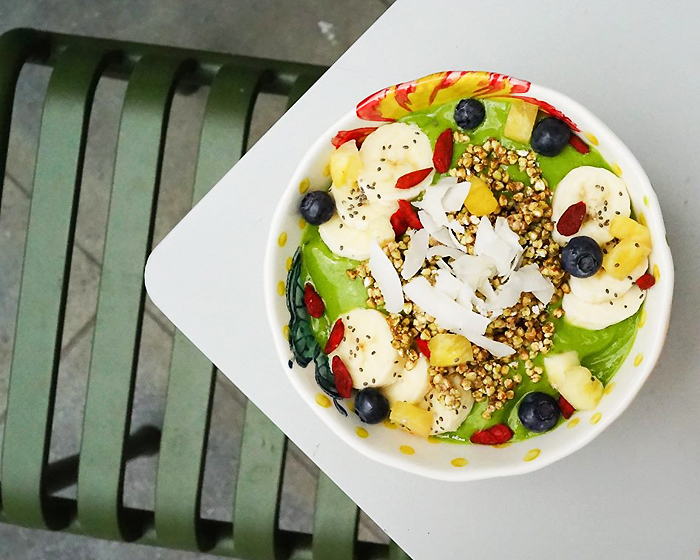 Let’s surf our way around 15 amazing restaurants that’ll keep you cool this Summer. Tattle at The Chambers new Smoothie Bowls, QLD. Asian fare is ideally suited to Summer weather, with light dishes great for sharing teamed with a cheeky cocktail of choice. Sum Yung Guys on Duke Street in Sunshine Beach presents a fun and funky vibe to chill out and escape the heat amid neon signs, Japanese-style wall murals and wooden furniture. Kick back in a dining area, styled to capture the personalities of the restaurant’s four partners, and sip a Boozey Suzie – green apple, Riesling syrup, Suze and bubbles – before small plates like Wagyu tartare, coconut, cardamom and taro. Stroll up from the golden sands of Kurrimine Beach after dipping your toes in the Summer sea and satisfy ravenous hunger pangs at King Reef Resort Restaurant on Jacobs Road. Balmy sea breezes beckon in the alfresco dining area, or cool down indoors among polished wood, vibrant tablecloths and potted plants, soaking up a uniquely tropical ambiance that screams North Queensland. As you would expect fresh seafood is on the Mod Oz menu, with starters like salt and pepper calamari with lemon and aioli or slurp up a dozen natural oysters tasting of the sea; before mains such as a seafood platter for two – oysters, prawns, battered fish, calamari, bugs, smoked salmon and chips. The carnivores among us may be tempted by slow cooked pork ribs, coleslaw, smoky sauce and chips. The Gold Coast is synonymous with beaches and Summer fun… holidaymakers and locals head for the surf before seeking out a spot to refuel after a long, lazy day in the sun. Edgewater Dining & Bar delivers sprawling water views of the coast’s iconic canals from the bustling dining precinct of Capri on Via Roma in Isle of Capri; boasting a charismatic interior fitted out in luxe industrial style of polished concrete flooring and spacious high ceilings - while the alfresco deck lures as an ideal meeting place for a sunset cocktail with friends. 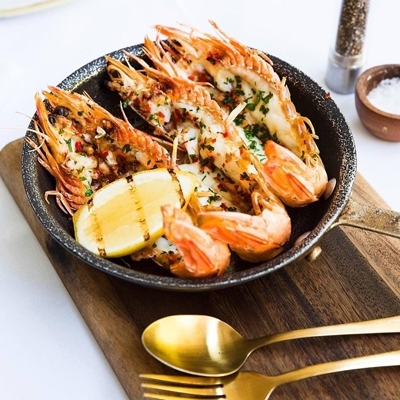 Wrap your hands around a Moroccan spiced lamb tortilla to start – filled with mixed greens, roast capsicum, red onion and minted yoghurt - or sesame King prawns with chilli jam and fresh lemon; while for a carefree main opt for grilled bugs in brandy butter, house salad and waffle fries. Dreamy desserts of vanilla crème brulee, Manuka honey and almond and orange biscotti, await those still with room to spare. Offering three scorching Summer venues under one roof in the heart of Cairns, The Chambers on Spence Street delivers a sense of community, where people feel connected at any time of the day. Whether stopping by to catch up with friends for coffee, or late-night drinks in the moody vibe of esters wine bar, this two-storeyed, more than 90-year-old heritage building, is a stylish dining destination. Playful café Tattle is a bright, lively hub for a laneway breakfast or lunch with tempters like truffle buttered chicken, house smoked and served with baby gem lettuce and mustard potato; while SoMa’s elegant interior and relaxed ambiance is ideal for sharing plates from a Euro-Asian inspired menu, such as spiced duck and salted pork belly, pan tossed market greens, chilli jam and wild rice. Arancini Balls from Abbiocco Food Truck, QLD. 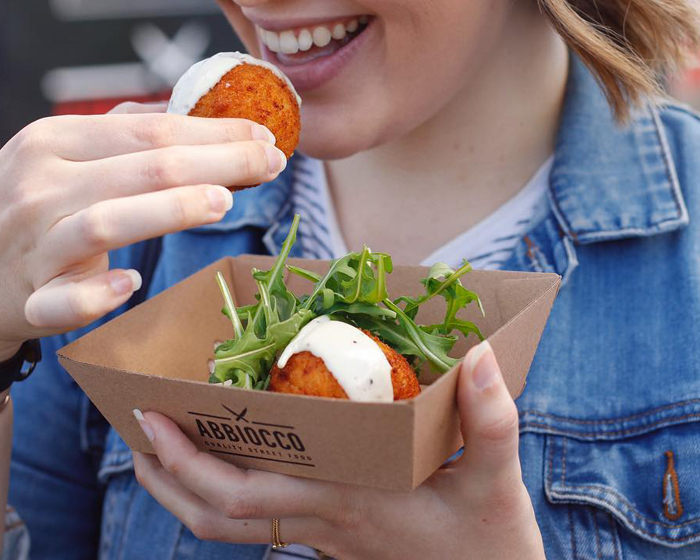 On cloudless Summer evenings around South-East Queensland, find Abbiocco Food Truck bringing Italian food with attitude to your neighbourhood. The product of a creatively frustrated Chef, Abbiocco is all about taking the joy of food to the streets, meeting people and sharing traditional fare, done their way. Serving slow-cooked meat sandwiches and a range of tasty bites with housemade sauces, the food truck can be found at markets, festivals and private events, dishing up taste tempters such as a beef and bacon meatball sub with rocket and Parmesan. Spiced pulled pork loaded fries and aioli may curb hunger pangs, or perhaps potato gnocchi in rich tomato and beef housemade bolognese sauce; while classic layers of sponge cake, soaked in coffee and Tia Maria, smothered in mascarpone cream and powdered chocolate, make Abbiocco’s tiramisu a dessert delight. A move north in search of a relaxed Gold Coast Summer lifestyle, has resulted in The Allotment Café on Woodland Drive in Reedy Creek. 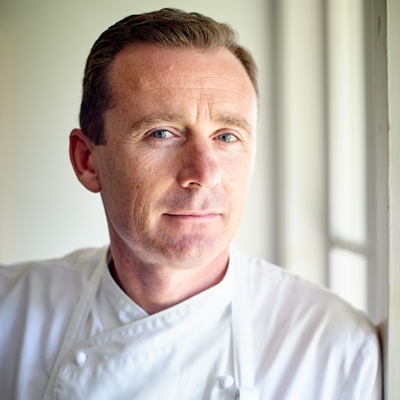 Former Executive Chef at The Langham Melbourne, Simon Capewell is making his mark on the leafy suburb with refined café fare and organic coffee on a rotating seasonal menu at this venue, where locals bring herbs from their own gardens to be used in breakfast and lunch dishes. Soak up the rays on a spacious outdoor deck or dine indoors among potted greenery and black gnomes guarding the coffee machine, while devouring Middle Eastern scrambled eggs with sumac, hummus and flatbread; those stopping by later in the day can delve into the likes of smoked avocado citrus salad, poached egg and feta, served with sourdough. "Smashed Avo" from Tonic & Grace, VIC. Cold beer and warm cheer are on the menu at The Kangaroo Hotel on High Street in Maldon. For more than 150 years, ‘The Roo’ - as the pub is affectionately known - has been a gathering place and watering hole for locals and those passing through town. Take a seat at wooden tables under the verandah and listen to anecdotes from yesteryear with a thirst-quenching ale in hand or escape indoors to order from an iconic gastro country hotel menu with seasonally changing selections. For something light to share, go for the antipasto platter of cured meat, goats cheese olives, semi-dried tomatoes and toasty bread; while crispy skin salmon, rocket and beetroot salad, vegetable puree and lemon butter sauce is an ideal Summer hunger buster. Steak lovers won’t be disappointed with a 400 g rump, with Roo famous chunky chips, fresh garden salad and red wine jus. Nothing beats a healthy brunch on a steamy Summer day, as cloudless skies and a scorching sun beat down from above. 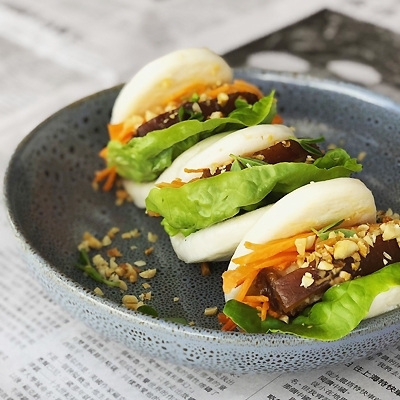 Malvern foodies craving mostly vegan fare, devised with the help from dietitians and nutritionists, head on into Tonic & Grace on Glenferrie Road, to quench thirsts and appetites. This south side café has a sleek whitewashed interior, ideal to chill out in while sipping an aromatic coffee amongst recycled wood features and an abundance of greenery. 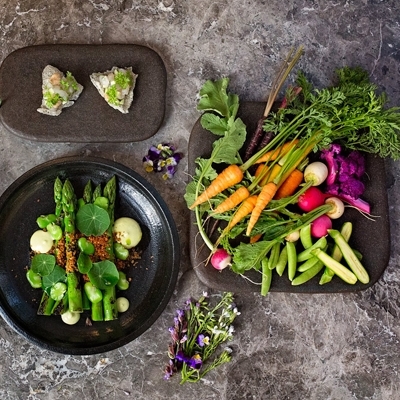 Be enticed by naughty and nice options like Nyctophilia – dark chocolate and pea protein pancakes, strawberries, coyo, roasted walnuts, salted caramel maple, ganache, buckwheat and almond crumb – or a classic poke bowl of edamame, pickled vegetable, seaweed, wood ear and shiitake mushrooms, shichimi, ginger, miso mayo, ponzu, nori and brown rice. 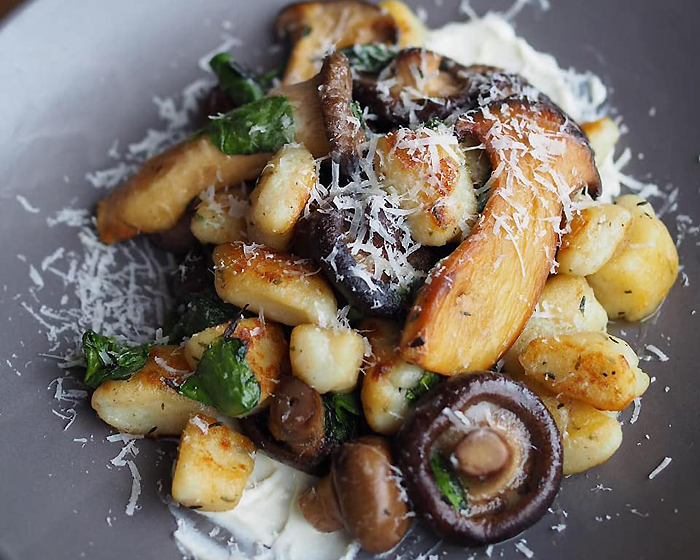 Pan fried gnocchi with herbed mushrooms, spinach, truffle oil and shaved Parmesan at Saint James Cafe, VIC. On the sunny side of the street in Malvern Village, Saint James Cafe on Malvern Road is linger-worthy local hangout spinning a British take on the Melbourne coffee scene. A sleek subway tiled frontage and alfresco tables await those wanting to watch the world pass by, or head out back to a courtyard with flowering plants, wooden features and geometric patterned tables to sip a latte and ponder an English-inspired menu. Tuck into brunch plates of Rob’s black pudding, spiced beans, housemade ricotta, poached egg and salsa verde; or opt for a languorously mellow lunch of smoked trout salad, asparagus, beetroot carpaccio, whipped goats cheese, pickled radish, tomatoes and dill. Cool down with a freshly squeezed juice like Purple Power – carrot, celery, beetroot, orange and ginger. Bringing the farm to the city, Steer Dining Room on Claremont Street in the foodie hub of South Yarra embraces a paddock to plate philosophy. 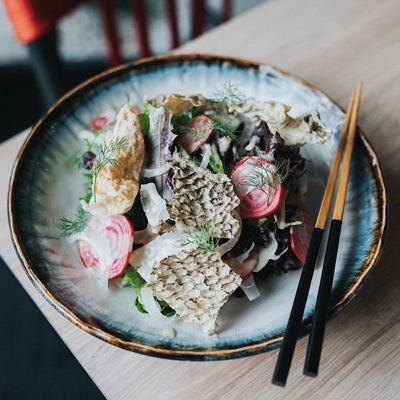 Mod Oz fare - mixed with hints of the vibrant flavours found in Asian cuisine - and a jazzy, moody vibe of soft lights, white linen and flowers, set the scene for a magical evening of Summer dining starting with grilled oysters, pickled celery and crispy chicken skin. For the main affair, send the senses into overload with poached blue eye, braised fennel, saffron sauce and diamond clams; finishing decadently with crème caramel, banana curd, banana bread, Thai basil and lemongrass sorbet. 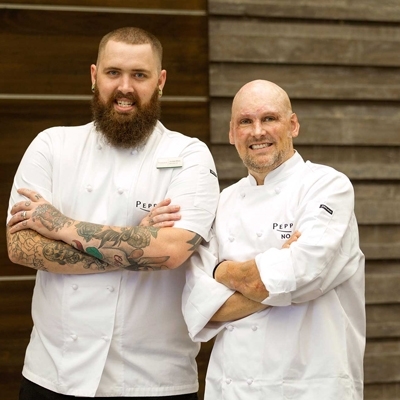 Five and seven course degustation menus are also available with matching wine pairings, for those who want to enjoy a progressive dining experience. 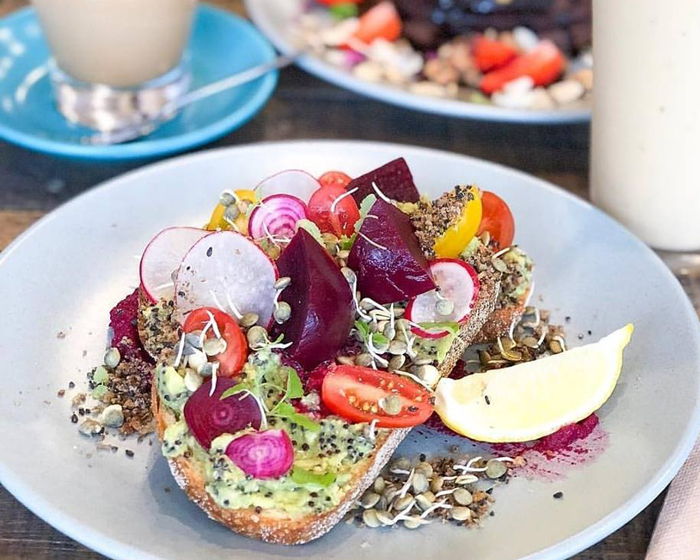 Delicious nutrition in a trendy fit out ensures everyone’s daily meal and workout-fuelling needs are met with a hint of cheek and loads of great service, at Tally Kitchen on Brady Street in South Melbourne. Nestled inside Tally Health Complex, this café rocks a neon green colour scheme with black buttress beams and white pendent globes setting the scene for all-day dining, from a Mod Oz menu sure to tempt all tastebuds. All from the one kitchen, Tally serves killer burgers, wholefoods, smoothies, juices and great coffee, along with signature dishes such as the specialty salad of brown rice, avocado, spinach, grilled capsicum, sun-dried tomato, grilled mushrooms and chicken tenders. Steak lovers can wrap their hands around a Scotch fillet burger, with fried egg, beetroot relish, lettuce, tomato, caramelised onion, cheese and Kewpie mayo. Team slow cooked succulent meat with icy cold craft beer on tap and Mornington Peninsula wines, at rustic barbeque and beer hall Red Gum BBQ on Arthurs Seat Road in Red Hill. Inside dried plants suspend from the ceiling on ropes and chunky recycled timber tables overflow with plates of deliciousness, as families and friends gather on sultry, Summer evenings to enjoy fall off the bone beef ribs and golden cornbread. Get ready to roll up your sleeves and chow down on Pitmaster Martin Goffin’s pulled pork or beef brisket, with sides of smoked Portobello mushrooms with chipotle butter, Grandma cobb corn and Creole butter, potato salad and chilli cheese fries. Little sunshine lovers aren’t forgotten with kids’ meals like a pork slider and fries, or mac ‘n’ cheese with pulled pork or brisket. Grilled chicken burger with bacon from Tally Kitchen, VIC. Good food intertwines with good company at Enzo Restaurant on John Street in Camden. Open for almost 30 years, this multi award-winning establishment appeals to families and friends eager to cool down from Summer heat in a fairy lit alfresco area under the shade of trees; or indoors where a classic ambiance of exposed brick and dark, maroon carpeting, set the tone for a traditional Italian feast. Expect an extensive choice of pasta, pizza, seafood and meaty mains like grilled fillet tenderloin with King prawn, calamari, mussels, octopus, scallops, tomato, wine, herbs and a hint of chilli and garlic; or fettuccine Enzo – fresh tomatoes, King prawns, snow peas, cracked pepper, cream and brandy. Pizza lovers can pick up a slice of Mona Lisa, with tomato, cheese, smoked salmon, capers, prawns, onion, avocado, snow peas and garlic. 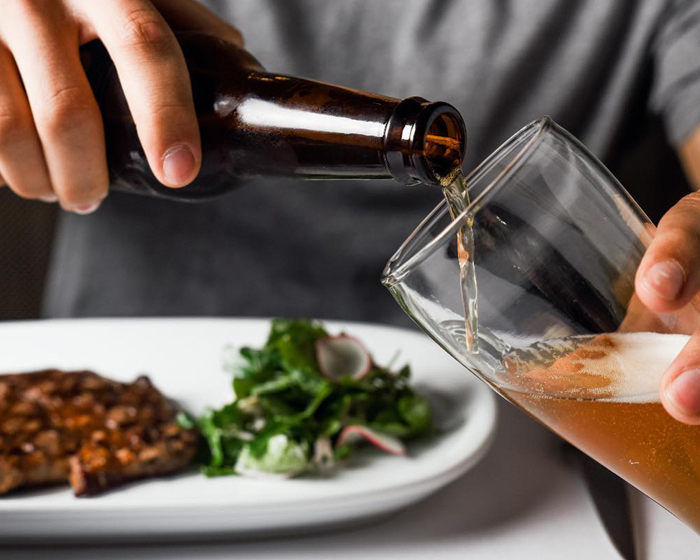 Beer and steak, the ultimate combo from Steer Dining Room, VIC. 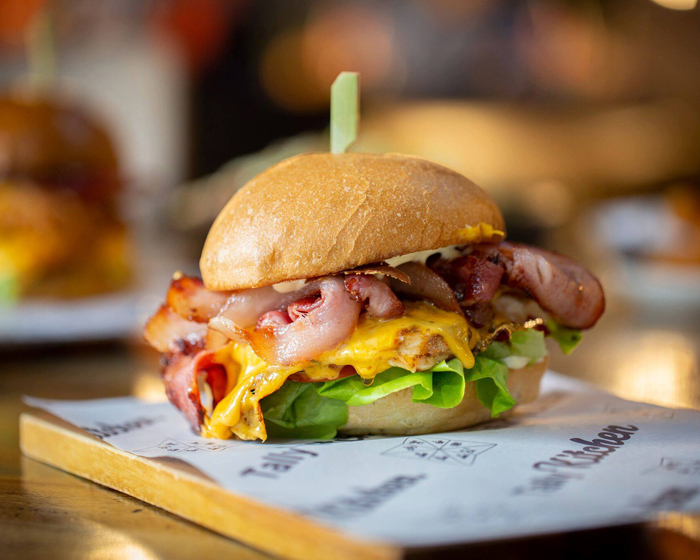 Lingering Summer lunches and late dinners await North Shore diners at Tapas Tapas Bodega on Pacific Highway in Turramurra. This authentic Spanish restaurant and deli has an exotic palette and intimate table settings, just right for lazy hot weather dining, from a menu specialising in Catalonian and Basque-styled tapas and pintxos. Grab a jug of housemade Sangria over ice – an ideal drink of choice for sun-drenched catch ups – and plate of marinated artichokes with Manchego cheese to start. 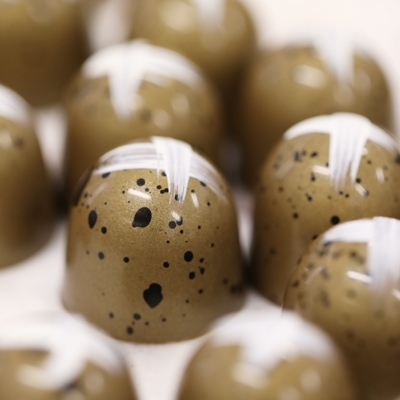 Signature dishes such as smoked swordfish carpaccio and Spanish artisan black pudding, with poached potato, apple and caramelised onion are sure to entice; before sweet and carefree desserts like poached pear in red wine with crème Chantilly. There’s nothing better than visiting a Swan Valley winery for a spot of wine tasting and Mod Oz fare on a hot, humid mid-Summer’s day. Rustique on West Swan Road in Henley Brook is a modern eatery in the heart of wine country, where tiled floors, whitewashed walls and trailing ivy set a chilled-out vibe for lingering with a glass of cold vino in hand; while a covered alfresco area offers oak wine barrel seats and balmy breezes. Fluffy ‘Honey I’m Home’ pancakes, with shattered honeycomb, fresh strawberries, maple syrup and vanilla ice cream may appeal to those looking for breakfast; or drop by later and share an Ultimate Rustique platter of pork belly skewers, chicken wings, lemon pepper calamari, grilled marinated prawns, beer battered fish bites, housemade apple slaw, warm ciabatta olive bread, balsamic and garlic aioli.